Gran distraído EL CALAMAR VERDE AMARILLO. VERDADERAMENTE PUEDE CONSIDERÁRSELO GIGANTE Y DE VARIOS TENTÁCULOS. Y DESPUES SE ASOMBRAN POR LAS PROTESTAS SIMULTANEAS EN MÁS DE 30 CIUDADES. 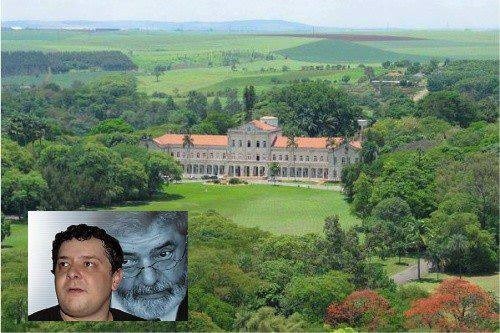 EL PUEBLO BRASILERO ESTÁ PODRIDO DE SU IZQUIERDA CAVIAR CUYOS COMISARIOS VIVEN AL ESTILO DE LAS DACHAS DE LENIN STALIN Y KRUSHCHEV, COMO DUQUES, REYES, PRÍNCIPES O MARQUESES DE LA EDAD MEDIA. You are currently browsing the EL COLORADO blog archives for the day 26 junio 2013.